JBMANDM is immensely proud to be working on this amazing festival that launches tonight at Barangaroo. Sunset20North celebrates the mighty Barangaroo – the strong woman and leader of the Cammeraygal people of Sydney. 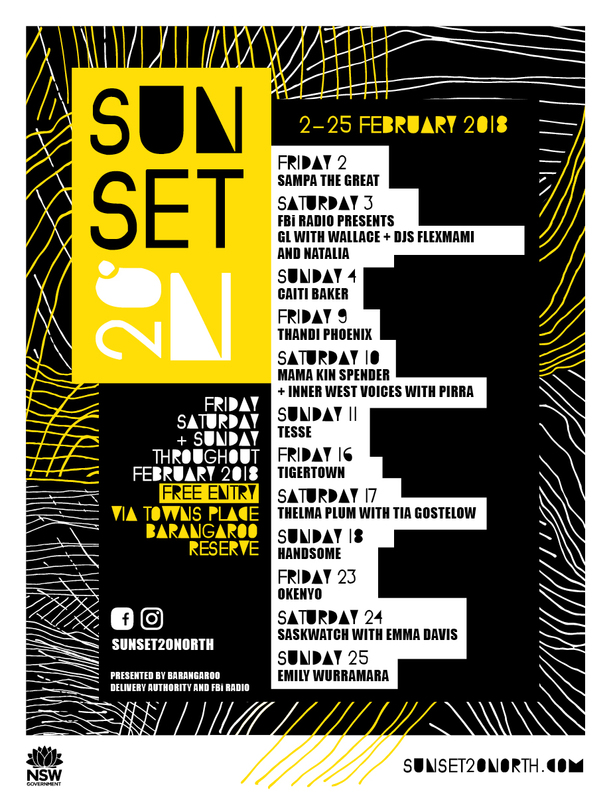 Independent and strong, Sunset20°N takes inspiration from Barangaroo, with a mostly female led lineup of incredible musicians and chefs. Behind the scenes also sees a majority of female crew as well, from myself and the marketing team, the curators, designers, production manager, producers, food suppliers, wine makers and more. Come celebrate with us every weekend in February.